This book gathers all current knowledge on butterflies of the Republic of Macedonia. It is aimed at all people interested by these insects, from naturalist amateurs to specialists. All species are described, including identification criteria and distribution maps. This guide can be used as a field guide as well as a reference book. This triilingual book includes a large part of photos, maps and graphs. 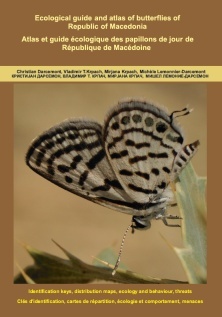 Includes also a DVD of 15 mn presenting some "hotspots" of butterflies of Republic of Macedonia.